This year Canada is celebrating 150 years. And you know what? They really know how to throw a party. 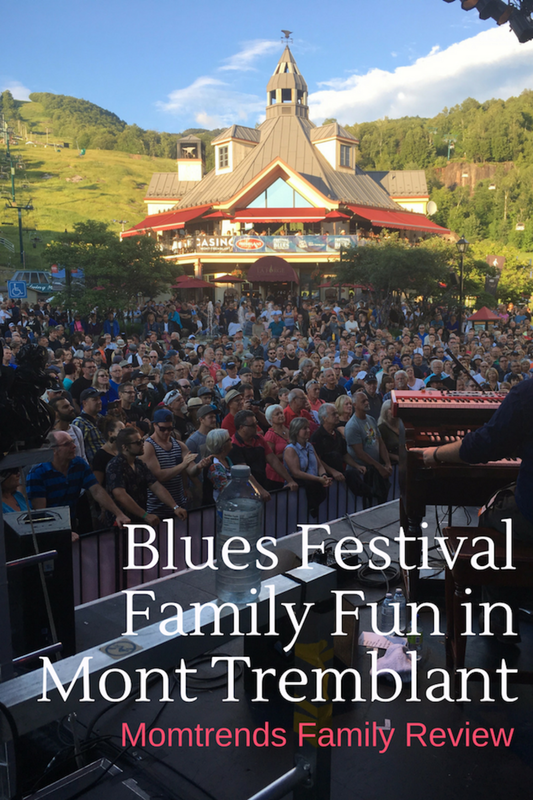 We caught a flight to join the fun and picked the Tremblant International Blues Festival as the site to soak in some of the best things about our neighbors up north. 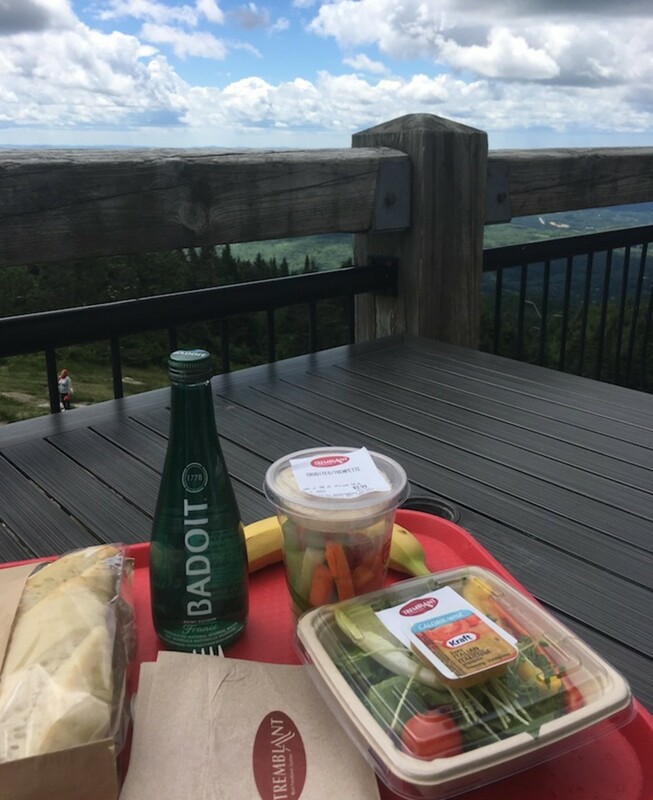 I&apos;ve been to Tremblant in the winter, and it sure is charming, but the summer opens up a whole new set of options for families. I&apos;ll share some of the on-mountain adventures soon, right now I&apos;m focusing on culture. Getting the chance to soak in free music while surrounded by this sublime natural setting, well, that&apos;s just the perfect spot for a family getaway. The festival wraps its arms around the entire village. 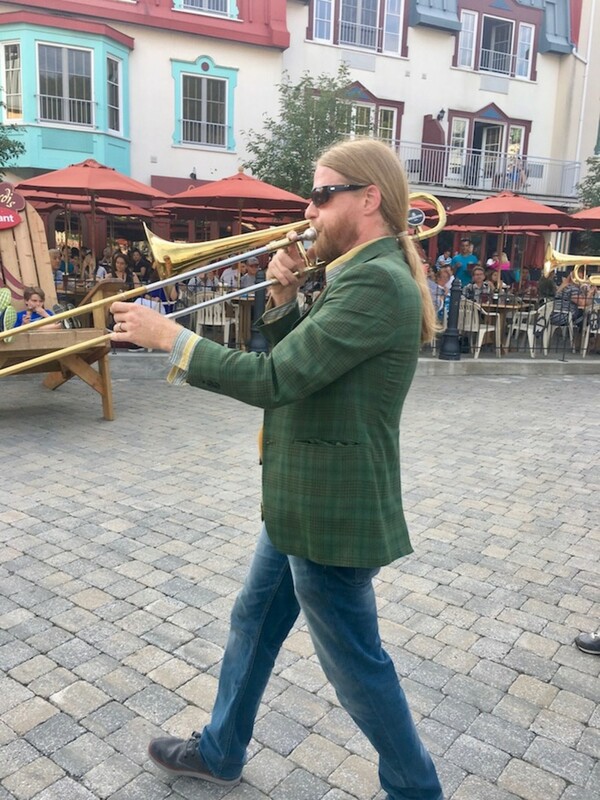 Music pops up everywhere - inside restaurants, outside on the pedestrian walkways, and on the stages. It&apos;s a music-lovers delight - sample a little something every day. Hop between listening to stellar music and taking in the natural splendor. This is the 24th edition of the festival and I just saw a sliver of what was on offer. My 9-year-old daughter and I saw about a dozen live performances--less than 10% of what is on offer! In all, there will be more than 100 shows. All free, all open to the public. Seating is first come first serve at the outdoor venues. Grab a bit of sidewalk or one of the public chairs and listen to your heart&apos;s content. Ghost Town Blues led the kick-off parade with "Oh When the Saints Come Marching In". Yes, indeed let the fun begin. Tip: to make the most of your days at the festival, my advice is to pace yourselves. 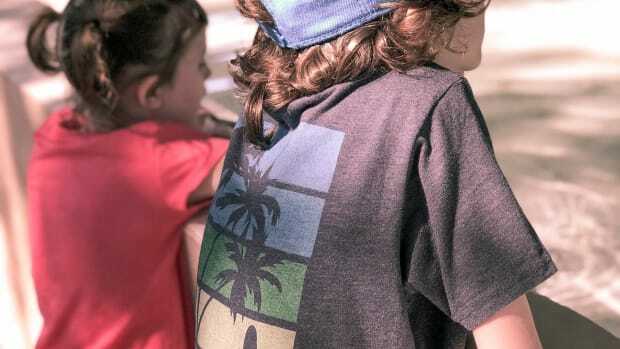 Stroll, listen, and let the kids play. I&apos;m going to be sharing more about the adventure area for kids. Unlike a lot of music festivals, this one welcomes family. First things first, the settings are wide open and clean. 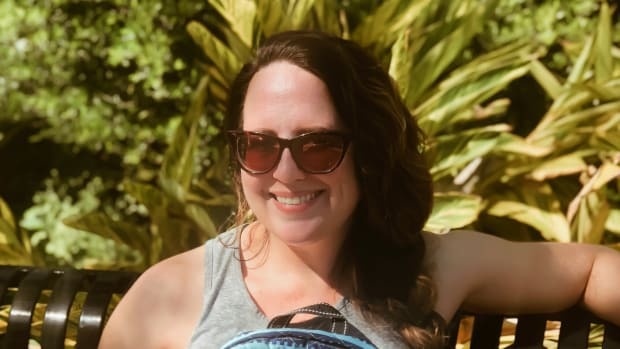 Yes, there are some 20-somethings who get a little ambitious with drinking, but they are few and far between. If you plan on going to the daytime shows, you&apos;ll be assured that the kids will be just fine. 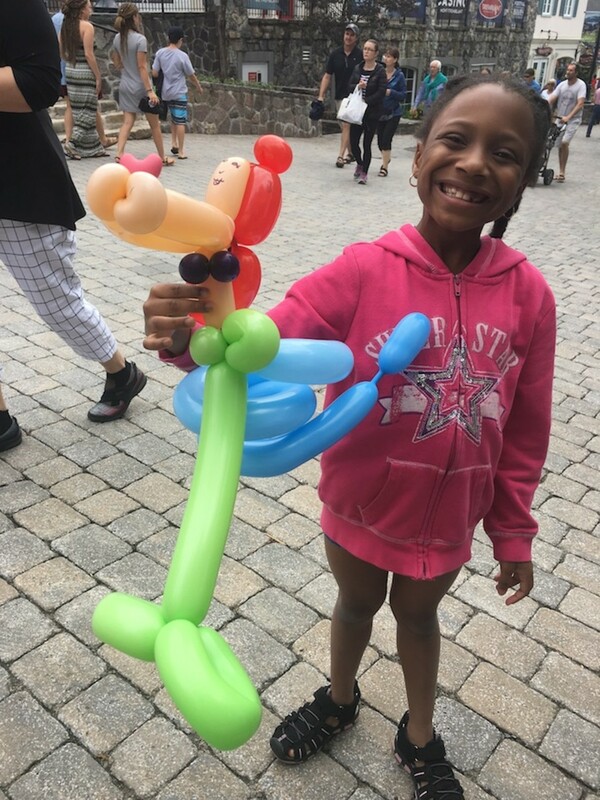 Speaking of kids, there was a crazy-good balloon artist there. Check out this mermaid creation! Families also love the Ice sculptures and the Loto Québec musical bikes. Yep, bikes. You hop on pedal and create some music. Seriously cool! Getting kids excited about the music is pretty easy. 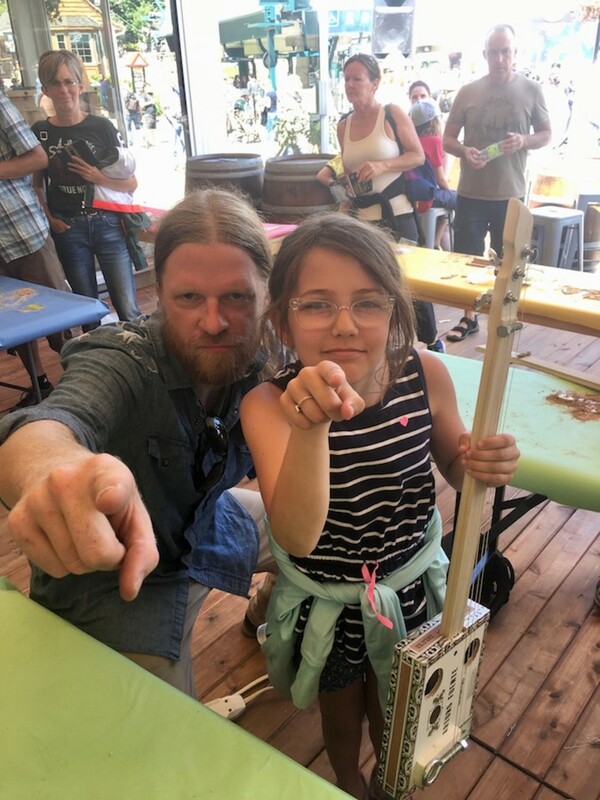 In addition to riding the musical bikes, my daughter and I got to make really cool cigar box guitars. Ghost Town Blues Band’s Matt Isabell walked us through making these cool instruments. He&apos;s made more than 400 of these cigar box guitars. At the workshop, we assembled the guitar in about two hours. 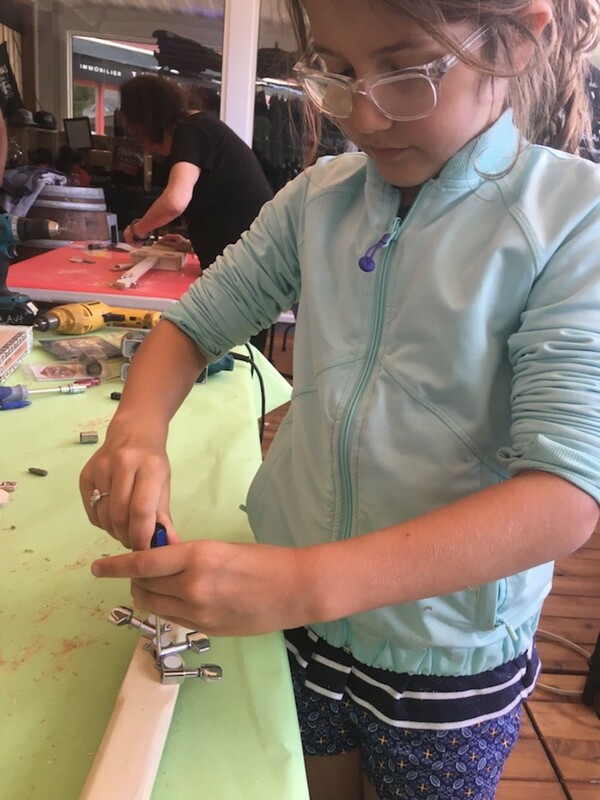 Matt helped my daughter use a power tool to drill holes into the box. That was pretty much THE COOLEST! We attached a neck and strings and everything to make a working instrument. What a musical souvenir to bring home! Walking and dancing and soaking in the vibes, well that can make you hungry. 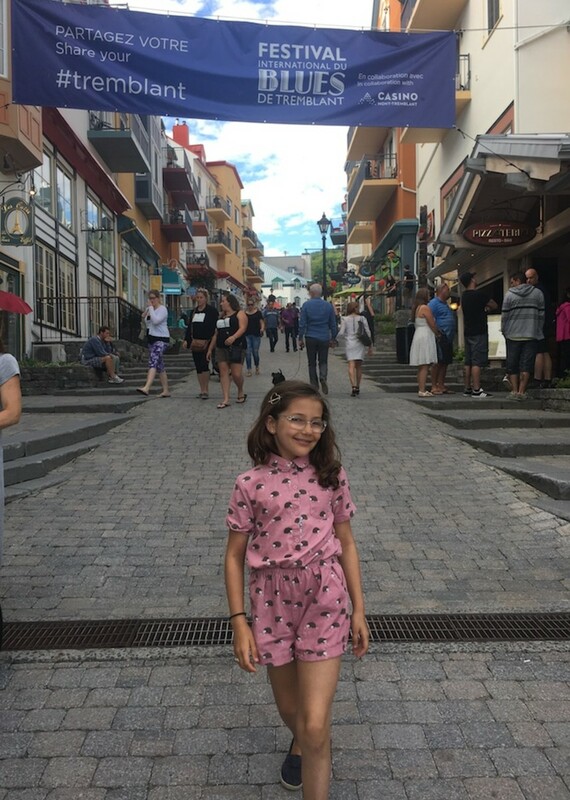 Fortunately, Mont Tremblant has tons of options, here are a few of my kid-friendly favorites. O Wok:Asian food with flair. Try the pad thai and dumplings and grab a seat on the outdoor deck. There&apos;s a playground right out back, so if the kids get squirrely, just let them run around while you finish off your custom cocktail. SoCal Kitchen: Heavily inspired by Mexican food and healthy California fare, you&apos;ll find fish tacos and great salads. For kids, dive into the quesadillas. There&apos;s plenty of outdoor seating or grab a table in the bright airy dining room. The staff is friendly and attentive, no need to worry about noisy kiddos getting the stink eye from other diners. Pizzateria: Look like a hero to your kids - everyone wins on pizza night. But at this spot parents win too. Start with a crisp, fresh salad and then dive into a pizza. The crust isn&apos;t thick or gummy, it&apos;s just right. From basics to grown up toppings like the smoked salmon pizza with cream cheese, red onions and capers, your clan will love this spot. Le Shack: Tuck into some great steaks in the spacious open-air restaurant. It has spectacular views of one of the main stages. I ordered an awesome piece of salmon and my daughter got a yummy pasta bowl from the kids&apos; menu. TIP: Dine early when you are traveling with family. The restaurants fill up after 6:30pm. 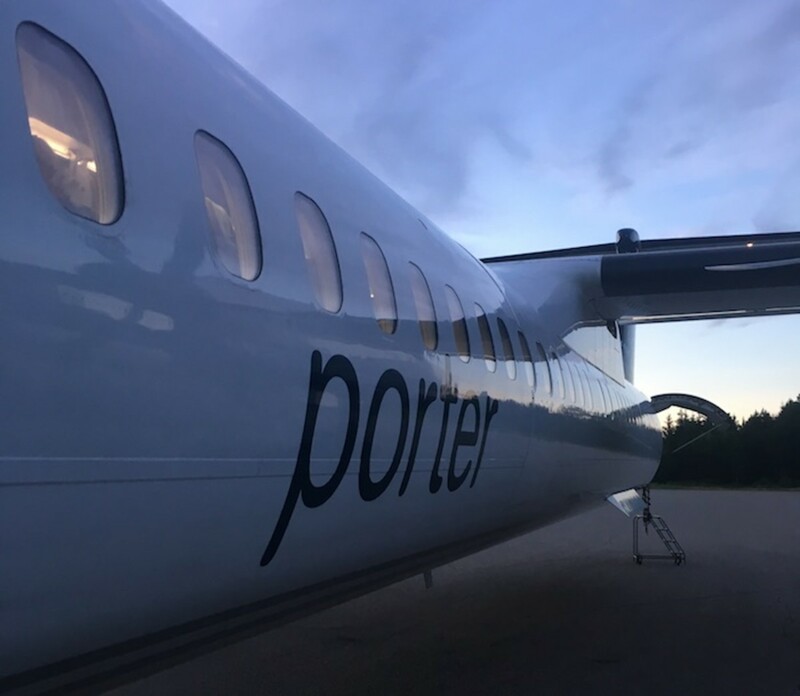 I flew Porter Airlines for the first time. It&apos;s a cool regional airline that glides right into Tremblant. The tiny airport was created in 2001. It&apos;s just 35km from the resort properties and is a sweet little spot. Security takes no time at all and there&apos;s not even a baggage claim to contend with. My luggage was loaded from the plane right to the shuttle! 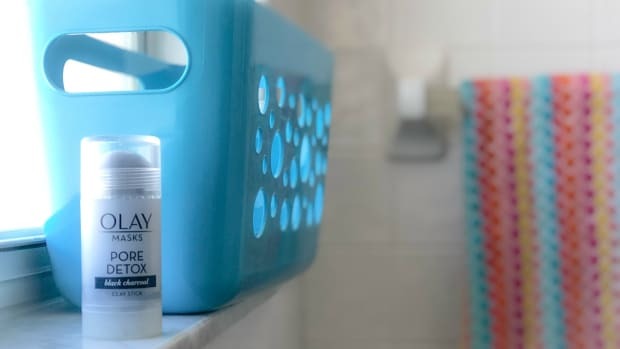 For our visit, we started in Newark, flew to Billy Bishop in Toronto and then caught a connecting flight to Tremblant. The flying time between Toronto and Tremblant is about an hour. The service on board is fantastic. It&apos;s a young friendly crew and the plane boasts nice interiors. 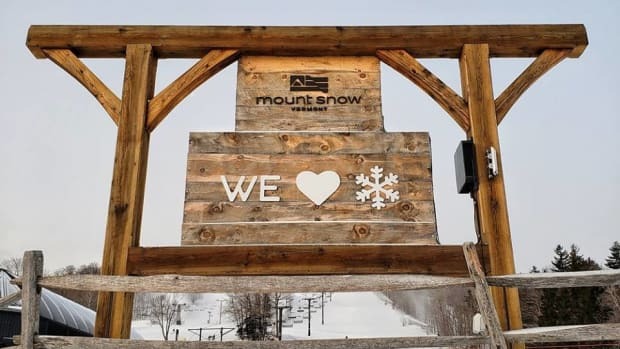 Once you get into Tremblant, grab a the shuttle to your resort. It&apos;s easy to relax and start your vacation as soon as you get on board. The festival started on July 7th and goes on thru July 16th. 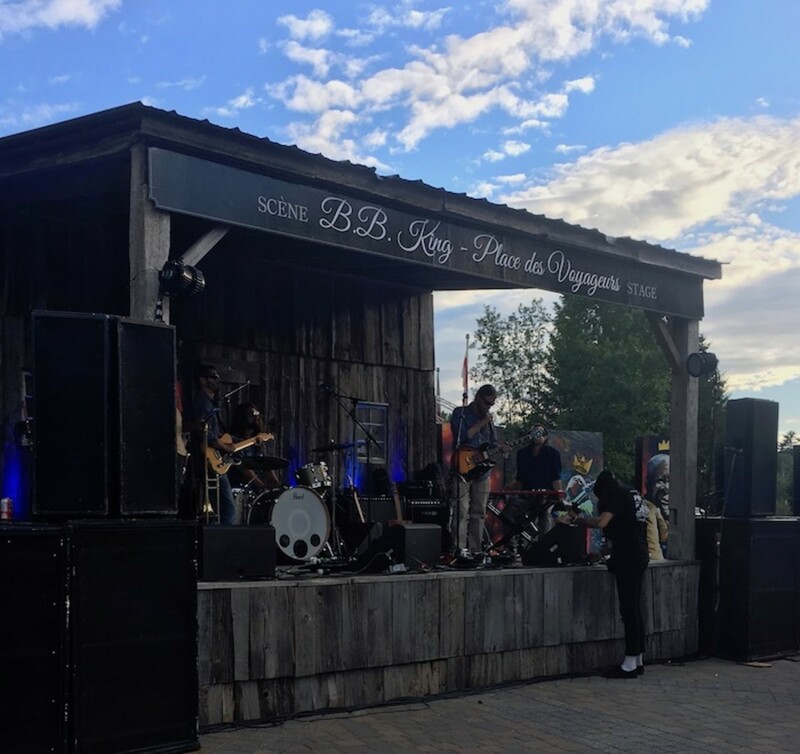 There&apos;s still lots of music to be had this weekend if you can make it this year head to Tremblant, and definitely plan on making the trip next year. 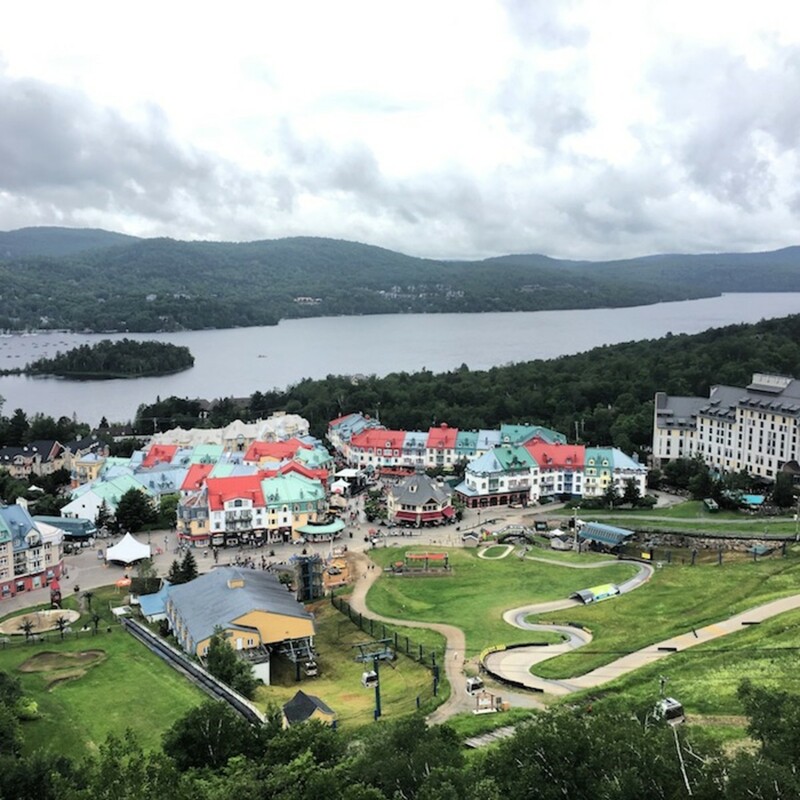 Travel accommodations were made by Mont Tremblant to make this review possible.